A unique blog dedicated to covering the worlds of book publishing and the news media, revealing creative ideas, practical strategies, interesting stories, and provocative opinions. Along the way, discover savvy but entertaining insights on book marketing, public relations, branding, and advertising from a veteran of two decades in the industry of book publishing publicity and marketing. James W. Gaynor, author of Everything Becomes a Poem (Nemeton Press), is a poet, artist, editor, and writer. A graduate of Kenyon College, he lived for years in Paris, where he taught a course on Emily Dickinson at the University of Paris, studied the development of the psychological novel in 17th century France, and worked as a translator. 1. What really inspired you to write your book, to force you from taking an idea or experience and conveying it into a book? In my work as a poet, I’ve long been fascinated by both the authors who create memorable opening and closing lines for their novels. I believe that the lines we often can quote are, in fact, short, unacknowledged poems that get lost in the sentences, paragraphs and chapters that follow. Middlemarch is a favorite of mine, and several years ago, I wrote a poem, ‘Dorothea Restructured’ based on the novel’s famous closing sentence. The poem has had an interesting cyber-life, and is one of the most ‘shared” of my poems. (I love Facebook for making that possible!) It’s also appeared in several online publications, and I included it in my collection, Everything Becomes a Poem. So, I decided I would make a list of my favorite first and last lines and create a series of poems. Jane Austen’s Pride and Prejudice seemed a logical place to start — and I realized that the first line’s fame has, in a way, cast a shadow over all the other chapters’ first lines — and then I became curious to see what Austen was up to in the rest of her novel, and I took a focused look at the remaining 60 chapter openings. Haiku are short, Japanese poems, which, in the English tradition, consist of three lines (5 syllables / 7 syllables / 5 syllables). There is something wonderful and powerful in the format. Children study them in grammar school here and adults always seem to respond to learning how to write them. In the early 80s, I experienced a somewhat predictable, spiritually deracinated-Westerner, child-of-the- 60s fascination with Zen Buddhism. I even flirted with the idea of becoming a monk. In that process, I also studied haiku, ikebana (flower arranging), and kendo (a martial art involving bamboo swords). One of the things I came to love about entering the austere and beautiful world that embraces both Zen monks and their militaristic Samurai counterparts is that, yes, you’re supposed to be able to slice your opponent into 53 thin pieces with grace and a minimum of blood. But you should also be able to arrange flowers and write poetry. In the Yin and Yang of life, everybody is both an artist and a warrior. It’s up to you to create a coherent whole of your many dimensions. Long story short: my career as a monk did not work out, and I became an editor of books and magazines, a newspaper essayist, book reviewer and a corporate communications specialist in the financial services industry. But for the past 30 years, I have maintained a daily habit of writing a haiku based on the content of both a sentence and the article in which it appears in the New York Times — only I now give the classic syllabic pattern of 5 / 7 / 5 a slant tailored to my secular career as a poet and writer. And, as #HaikuJim, I have a daily haiku that I post on my blog (jameswgaynor.com), and I write contemporary haiku commentary (usually humorous) for OTVmagazine.com. I also teach a haiku workshop for corporate communicators called “Can You Haiku?” that looks at haiku as the forerunner of the Tweet. I began to wonder if the 61 chapter-opening lines of Pride and Prejudice could, in fact, be the basis for a series of haiku. If each sentence was a kind of short poem, why couldn’t it become a haiku? And the book happened. I had no idea what I was going to do when I finished, but I had a strong sense that I was onto something interesting about Austen’s style and messaging. In this book, I created a summarizing word-image haiku of each of the chapters in Pride and Prejudice. In so doing, I found that a somewhat ironic and unexpected voice emerging as each first sentence became a short poem. I began to hear what might be Austen’s acidic feminine wit blending with my 21st-century masculine sensibility — not surprising, given that I fell in love with Jane Austen when I first heard “It is a truth universally acknowledged ...” and she and I have been in a committed relationship for more than 50 years now. In the book, I replaced the haiku’s traditional duality of emotion with an ironic twist conveyed by the narrator, challenging the usual seriousness of literary criticism. But the haiku’s three situating questions remain in the background, and I’ve identified the primary (and motivating) answers to the What / Where / When as a different way of summarizing the novel’s action. 3. What do you hope will be the everlasting thoughts for readers who finish your book? What should remain with them long after putting it down? I recently spoke at New York’s Fordham University in New York on how this approach can help readers to discover unexpected insights — and in so doing, provide an alternative to the wet-shirt Firth-Darcy version of P&P that has, in my opinion, unfairly dominated popular understanding of Austen’s clear, sardonic tone. And the students were excited about looking at the novel’s structure and action from a different perspective. Elizabeth, as they drove along, watched for the first appearance of Pemberley Woods with some perturbation; and when at length they turned in at the lodge, her spirits were in a high flutter. Prior to studying the first lines, I hadn’t really noticed the use of the word “flutter.” Elizabeth Bennet, as we all know, is really not a flutterer. So, why now? Why the use of a word more commonly associated with Regency heroines falling in love? After the lecture, one young woman told me the Jane Austen we discussed was exactly the voice she needed guiding her love life — which confirms for me that, 200 years after her death, Austen continues to exert her subtle influence. 4. What advice or words of wisdom do you have for fellow writers? Write for yourself. Write every day. Kill your adverbs. 5. What trends in the book world do you see and where do you think the book publishing industry is heading? Thanks to the ability to self-publish, the book world is now much more open to beginning writers. The internet creates community and this allows writers to find audiences, sometimes specialized and obscure — but audiences nonetheless. And, while the platforms and devices proliferate, there will always be a need for a three-dimensional book with which to curl up. 6. What great challenges did you have in writing your book? Once I started, I had a wonderful time, meeting Austen’s characters in new ways, seeing the action quite differently. For example, by answering the haiku questions of “When” (i.e., seasonal reference), I realized that Pride and Prejudice begins and ends in hunting season. While Bingley and Darcy may have come to Hertfordshire for the shooting, they, in their roles as single-men-in-possession-of-good-fortunes, are the ones being hunted. I don’t think I had appreciated that before I started looking at the novel through a haiku lens. It was only when I was finished that I thought, “OK. What have I just done?” The biggest challenge was determining whether this was a very long poem with 61 stanzas or possibly a book. And then trying to figure out if anyone would ever want to read it. 7. If people can only buy one book this month, why should it be yours? Jane Austen’s Pride and Prejudice in 61 Haiku (1,037 Syllables!) is two books for the price of one: a new look at an old favorite for readers familiar with the story; and, for those who haven’t yet read P&P, it’s a great introduction to a classic work of English literature. And yes, Jane Austen had a sense of humor! Why is what you know about book marketing all wrong! Should authors go big – or for a sure thing? What does it really take to land on a best-seller list? Can you sell 10 copies of your book every day? How do authors get on TV? 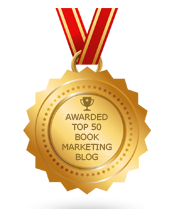 "Top 50 Book Marketing Blogs"
70 Thoughts On Books, Writing, Reading .. Life! Which Online Persona Should Authors Choose? The Biggest Book Finally Gets A Museum! Is History New To Authors? Brian Feinblum, the creator and author of BookMarketingBuzzBlog, is the chief marketing officer for the nation's largest book promotions firm, Media Connect (www.Media-Connect.com), formerly Planned Television Arts, and has been involved in book publicity and marketing since 1989. He has served several book publishing companies as a publicist, book editor, and acquisitions editor. Brian, who earned a BA in English from Brooklyn College, became a published author in 1995 when he penned The Florida Homeowner, Condo and Co-Op Handbook. He resides in Westchester, New York with his wife, two children, and an 80-pound American Bulldog.